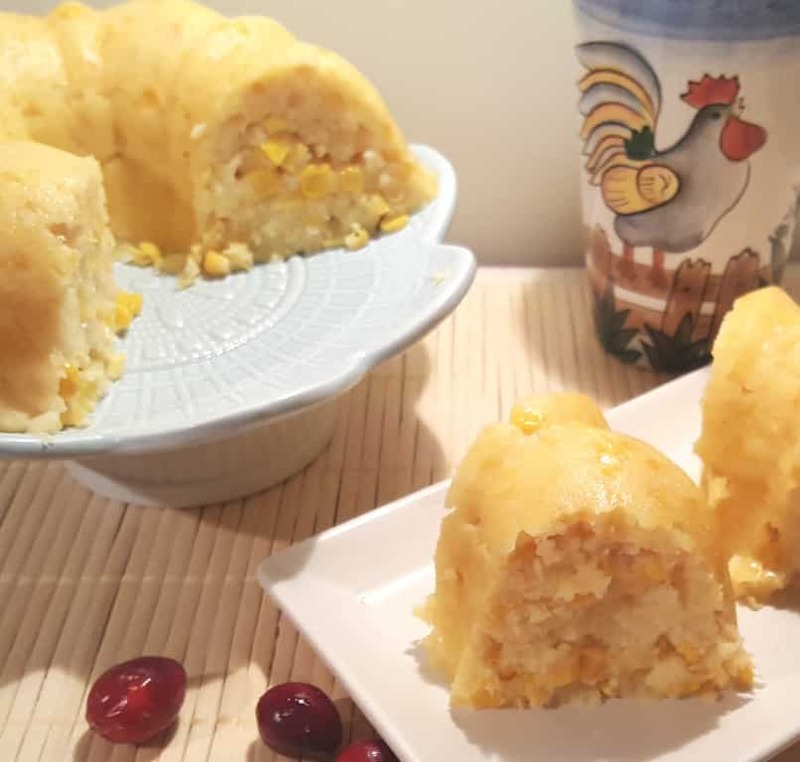 This Holiday Creamy Corny Cornbread is a sweet and creamy side dish that is prepared in the Pressure Cooker or Slow Cooker for your Thanksgiving meal. This Holiday Creamy Corn Casserole recipe is so easy and so delicious. It can be made in the Slow Cooker or the Pressure Cooker. It is great for holidays like Thanksgiving and Christmas and it doesn’t tie up your oven. 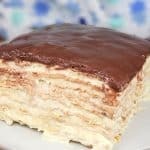 You can prepare the batter the night before and keep in the refrigerator. 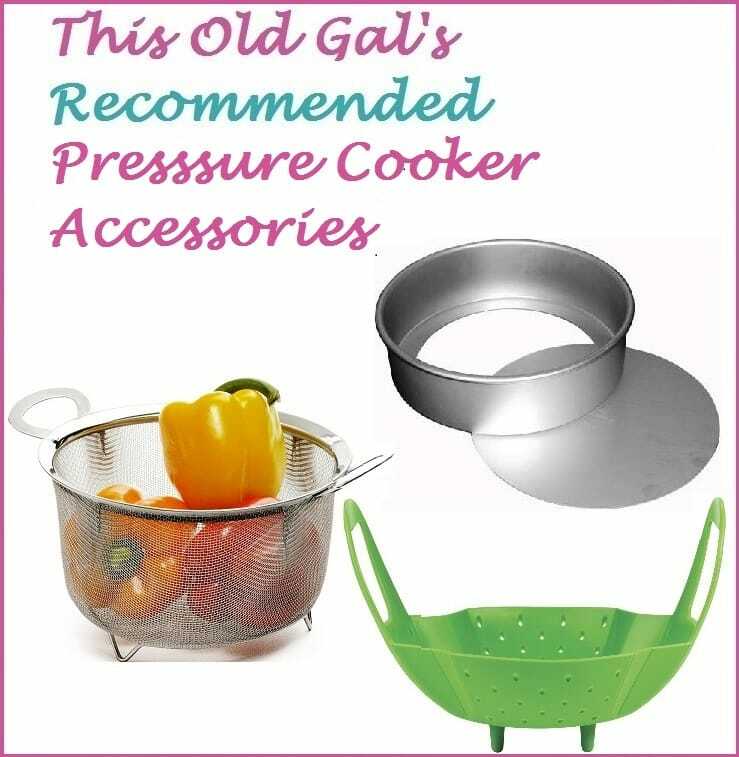 When you are ready to cook, either pour the batter into your Slow Cooker or if using a Instant Pot, Mealty MultiPot or Pressure Cooker, pour the batter into a 6 cup Bundt Pan or Casserole Dish and place in your Instant Pot, Mealty MultiPot or Pressure Cooker . 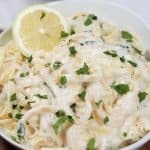 This recipe is inspired by BlondieItaliana and it works great in the Instant Pot, Mealty MultiPot or Pressure Cooker. The original list of ingredients for this Holiday Creamy Corny Cornbread, uses a box of Jiffy Cornbread Mix. As I like to do everything from scratch, use my own Homemade Cornbread Muffin Mix (recipe is off line temporarily), instead of using a box of Jiffy. As with most cornbread, you don’t want to over work the batter after the dry ingredients are added. The order of adding ingredients is important. 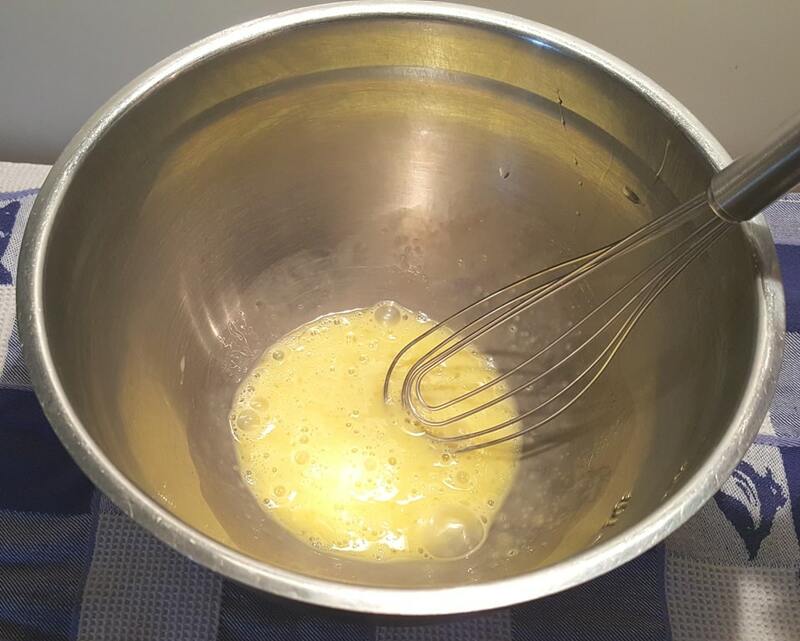 Add an egg to your Mixing Bowl and Whisk the eggs well. The recipe calls for sour cream. Full fatr is awesome. 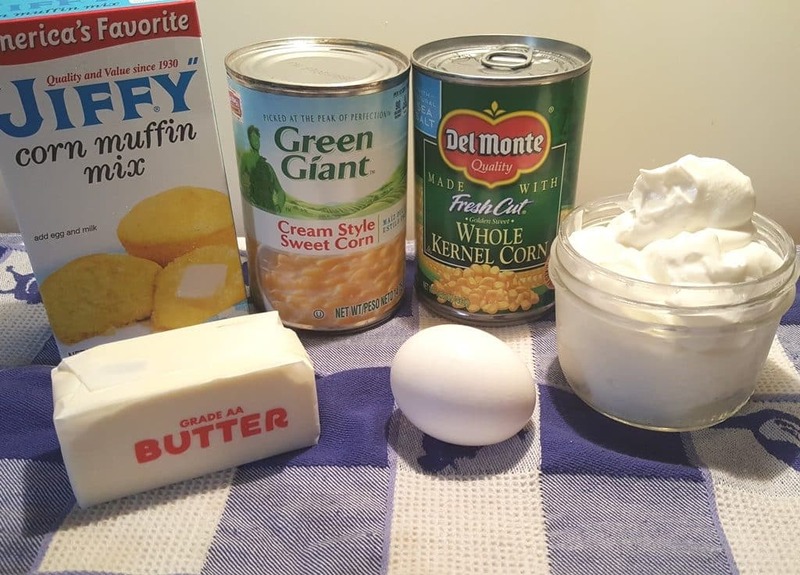 However, if you want to lighten up the Holiday Creamy Corny Cornbread, go a head and use Light Sour Cream. It works really well too. Since I am crazy about my Homemade Thick Greek Yogurt, I like to use it in this Holiday Creamy Corny Cornbread in place of Sour Cream. My Homemade Greek Yogurt comes out thick and creamy and delicious. 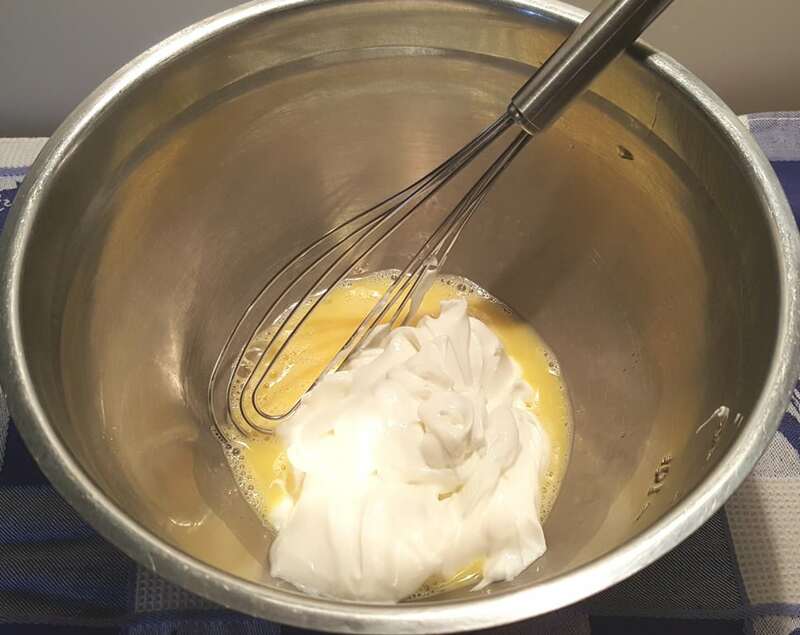 Whisk together the eggs and sour cream or Homemade Greek Yogurt, until nicely blended. 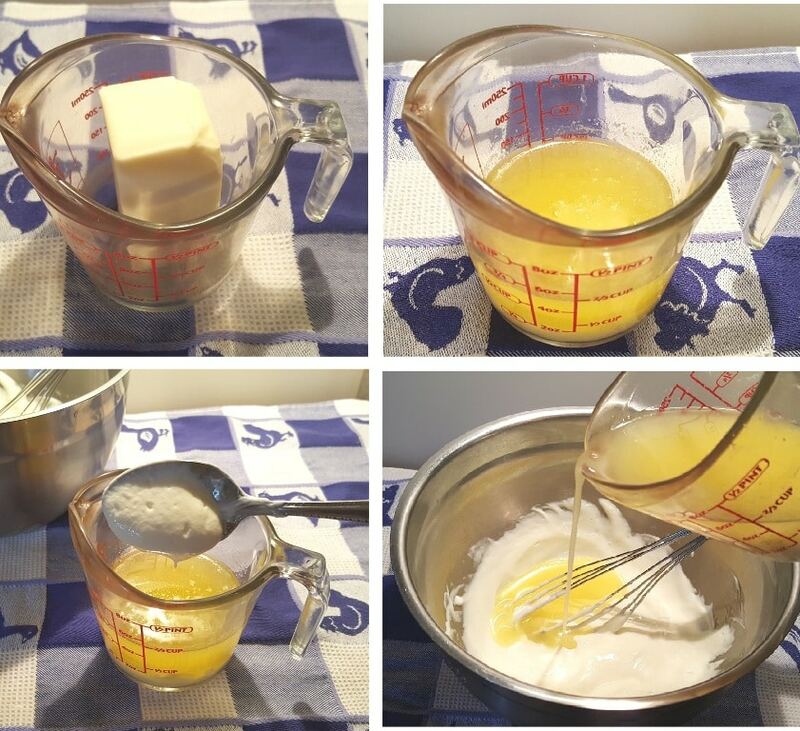 Using a Glass Measuring Cup, melt the butter. 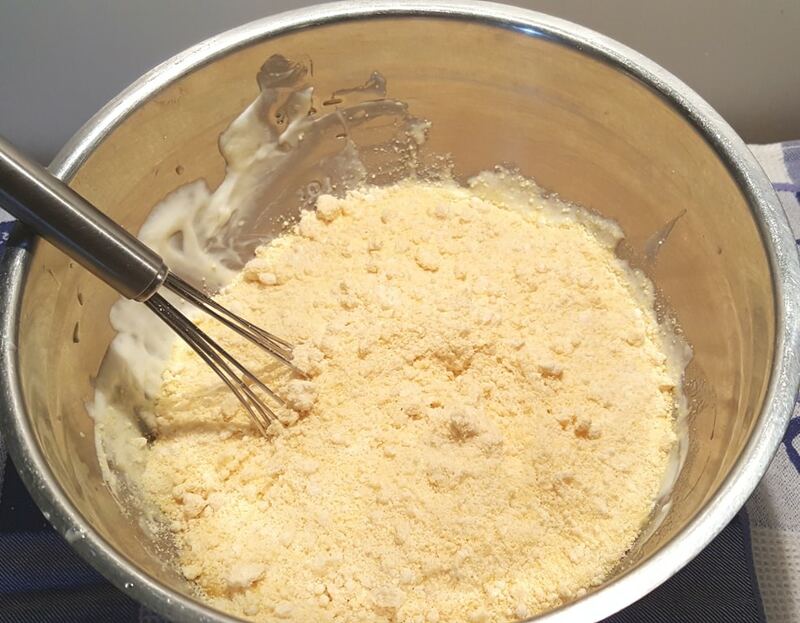 Remove some of the egg mixture and add it to the melted butter and Whisk together. This is called tampering. This will cool the butter, so that when you add it to the egg mixture, the eggs won’t cook and the sour cream won’t curdle. Add in the box of Jiffy, or if using my Homemade Corn bread Mix, add in the ingredients here. Mix the dry ingredients into the wet ingredients, just to combine. If using frozen corn, instead of a can of corn, defrost the corn and drain, so that you don’t have excess liquid. Add the defrosted frozen corn, plus 1/2 teaspoon of salt or a can of drained corn to a Mixing Bowl. As much as I love frozen corn, I think the canned corn tastes better. 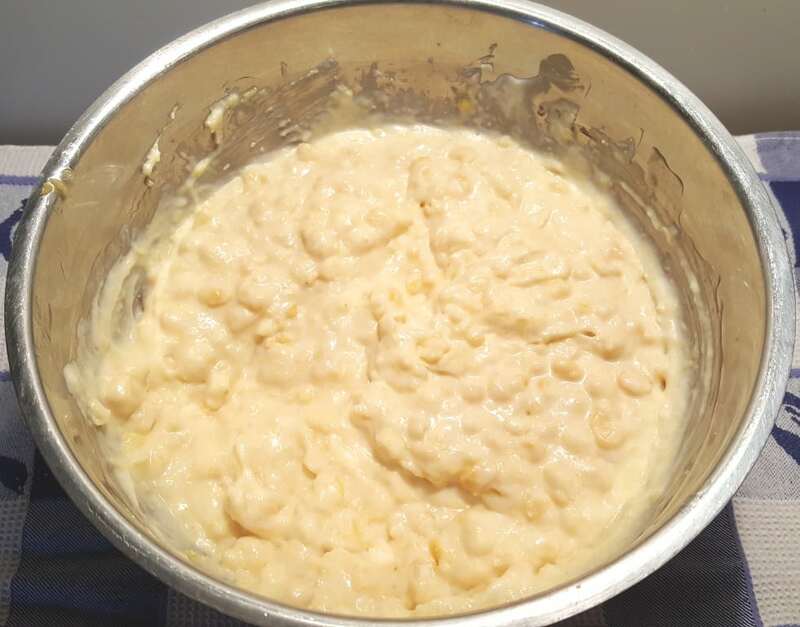 Add the whole can of cream corn to the Mixing Bowl. If you want a bit of a pop, add in a can of drained diced green chiles, or slice up a Jalapeno pepper and add it to the batter. 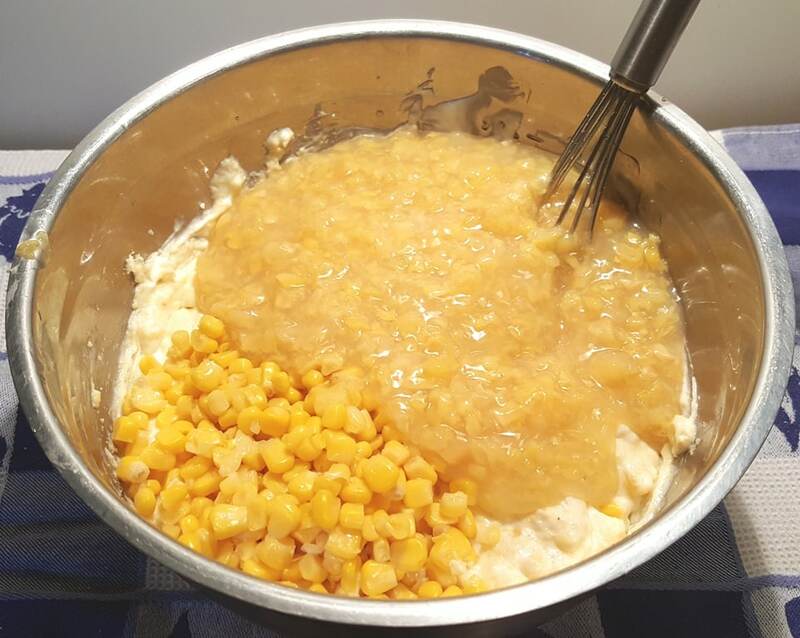 Fold the corn into the batter until just incorporated. Don’t over mix the batter. 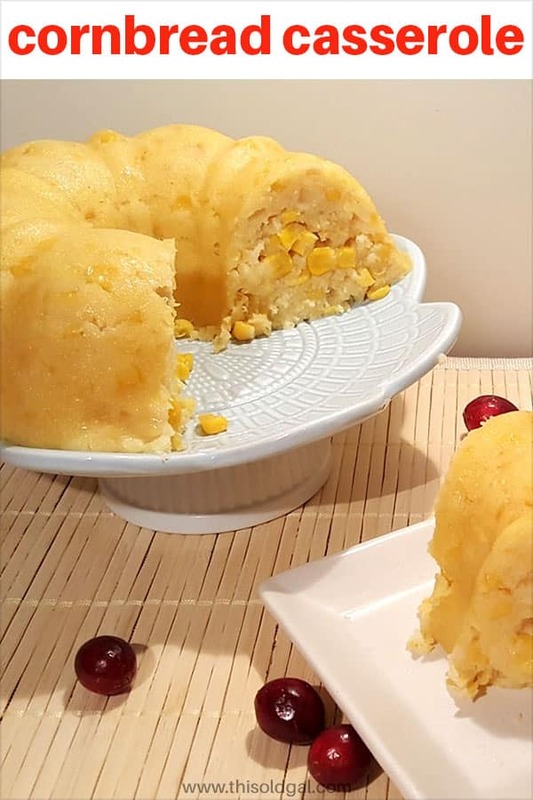 For baking this Holiday Creamy Corny Cornbread in your Pressure Cooker, you can use a Cake Pan, if you like. However, I recommend using a 6 cup Bundt Pan, as I get the best results. 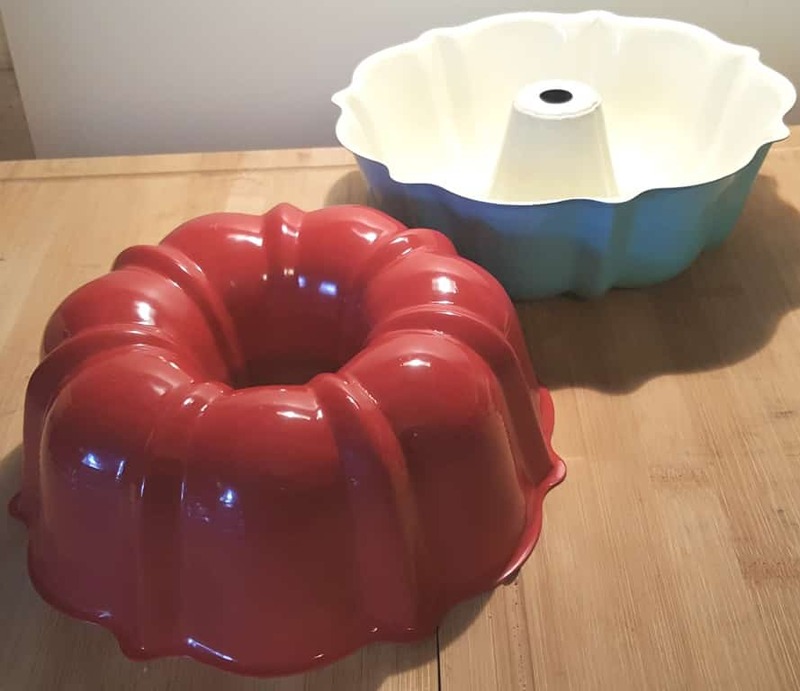 The Bundt Pans come in two colors and it is the luck of the draw as to which color you get. I was lucky to have gotten both colors! I have provided this link to Amazon, so you can get your own. 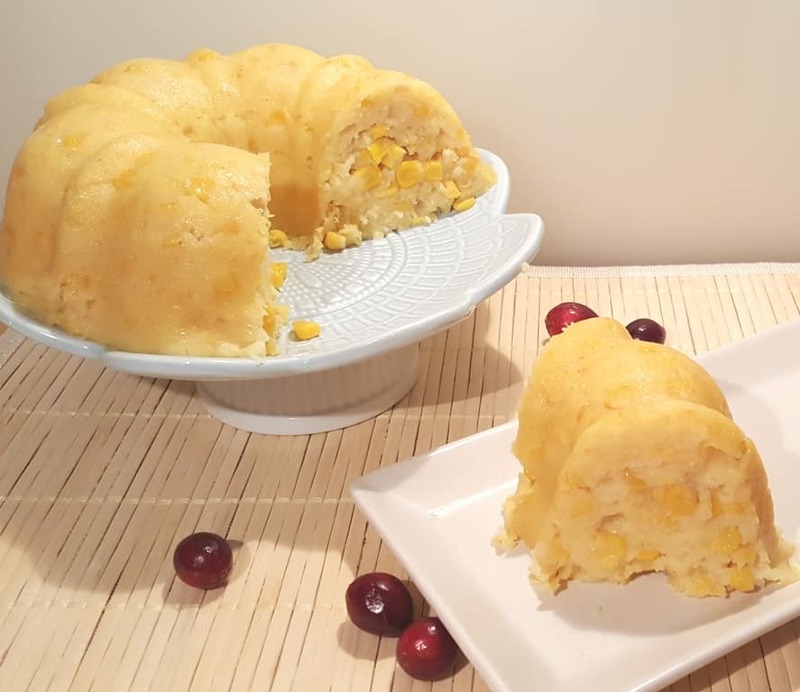 The Holiday Creamy Corny Cornbread seems to cook more evenly and puffs up lighter and fluffier. Grease a 6 cup Bundt Pan, cake pan or casserole dish, using bacon grease, butter or coconut oil, whatever you like. Pour in the batter and jiggle it about, so that the batter is pretty even in the pan. Place the Bundt Pan on a Trivet in your Instant Pot, Mealty MultiPot or Pressure Cooker. If you use a Pyrex Glass Bowl, add five minutes to your cooking time. To make things even easier, you can use a box of your favorite cornbread muffin mix, or use my homemade Cornbread Muffin Mix (recipe is off line temporarily), if you have the time. New Holiday and Thanksgiving recipes are being added all the time, so don’t forget to look around. In a small bowl, combine wet ingredients. Add dry ingredients and combine. Add one cup of water to Pressure Cooker cooking pot and place trivet inside cooking pot. Lock on Lid and close Pressure Valve. Cook at High Pressure for 25 minutes. When Beep sounds, do a Quick Release. Grease slow cooker and pour in batter. Cover and cook on HIGH for 3 hours, or until toothpick inserted comes out clean. Remove lid and turn off slow cooker, so that condensation does not accumulate. If you use your own homemade cornbread muffin recipe, use 8.5 oz. Light sour cream works well. PIN this Holiday Creamy Corny Cornbread Casserole! This looks tasty! Do you think it would work to make it in the 7″ push pan? 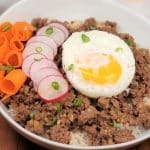 How do you print your recipes???? There is a print button. I have tried many of your recipes and they always come out to perfection! 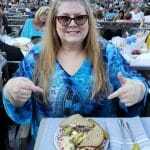 Jill, I would like to try this cornbread and also your banana nut bread recipe but only have a 3 cup bundt pan. Would it work in the 3 cup pan doing 2 separate cakes? What would be the cook time? Help! 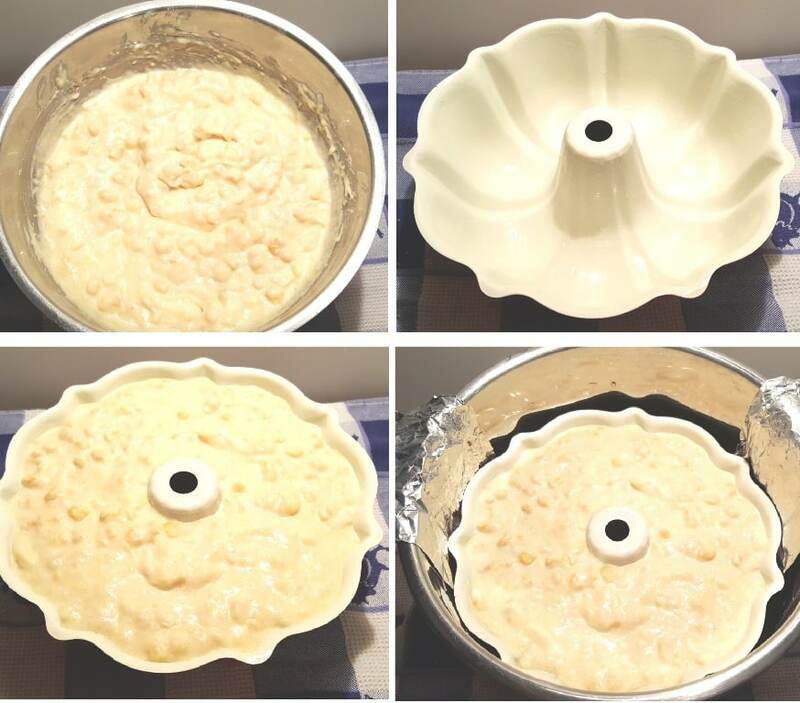 I followed this recipe but had to use a round cake pan. After 25 minutes it was still extremely wet and mushy. What went wrong?! 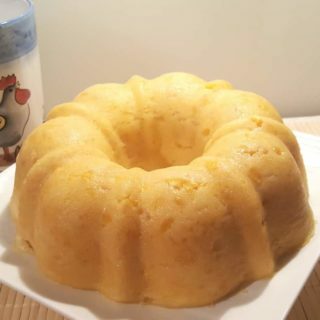 I am planning on making this as well but had to use a round cake pan. Recommended cook time? I know for Bundt it’s 25 mins. Thank you kill, I was guessimating about 35-40 mins. Much appreciated! 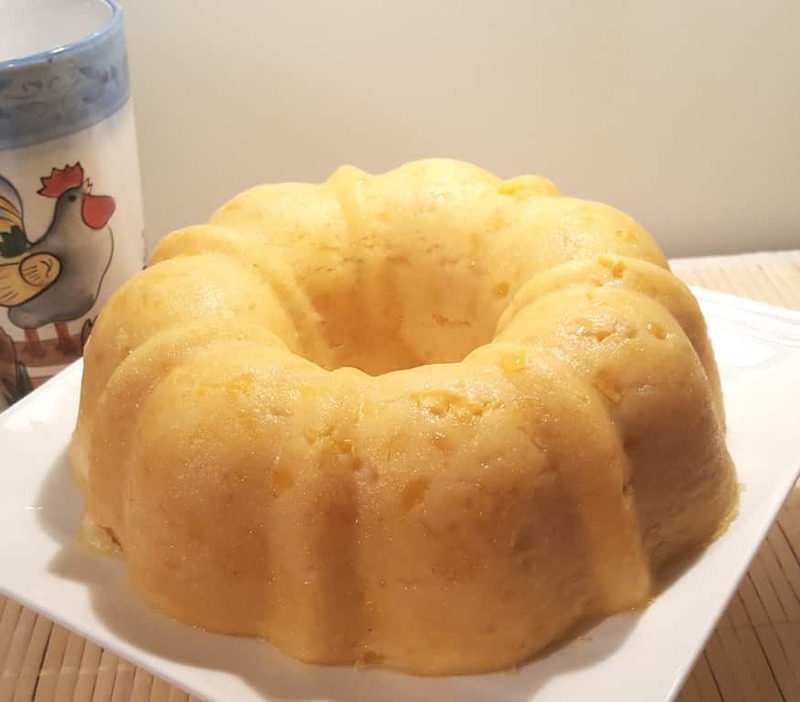 I made this tonight and used the Bundt pan I got from Amazon for the 6quart Instant Pot. Cooked it 25 minute with quick release and it was very wet and doughy. Put it back in for 7 minutes and did a NPR. Still not much better. Had to spoon it out and it’s like oatmeal. Yes, I put a cup of water in the pot, then the trivet, then the Bundt pan and I made a sling. 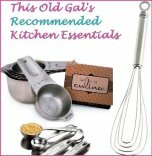 I’m not a newbie and have made several of your yummy recipes and yogurt. It was very mushy. Maybe more time? I would like to try it again and figure out what works. Tastes great. I made this exactly how you said with an instant pot. It over flowed the pan and is really moist and possible under cooked. What could have possible went wrong? 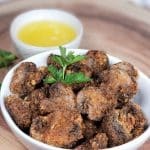 Jill, is there a way to add your recipes to the paprika browser from Facebook without having to open them in safari and than copy the link? It’s the only way I can get paprika to notice you. I use mostly your recipes and don’t want to weigh myself! When I tried to see if I could work this problem out, paprika sent this message. Paprika automatically recognizes sites which adhere to the hrecipe or microdata specifications. If you would like to add Paprika support to your site, simply implement either specification in your HTML. For users, this means that if your favorite site isn’t supported, you can write them and ask them to implement the specification. Do you think that this would work in the egg bite molds? If so, how would you change the cook times? Also, do you cover the pan when it is cooking to keep any water from getting into the batter? Hello there. I wanted to try your recipe, but I needed to use up a bunch of garden squash. Do you know how I could incorporate some squash, and maybe some cheese to this recipe? I’m making this now as a test run before thanksgiving! Hoping it is as wonderful as I am imagining. Should this be served warm or is room temperature ok? 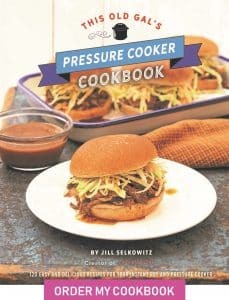 I’m thinking about making this in a pressure cooker over my chili recipe, but it calls for a 10-minute natural release. Do you think that will work?